In multi-storey houses rarely alternative energy systems are applied. In the i.sol.e² project potential solutions will be analyzed, enabling the use of solar energy for hot water generation, room heating, and possibly cooling targeting high efficiency and low cost. Technological and manufacturing innova­tion with absorbers, circulation and heat storage will be assessed in order to sketch new systems. With the help of creativity techniques contradictions will be resolved by new combinations while their feasibility will be analyzed in the course of the project. 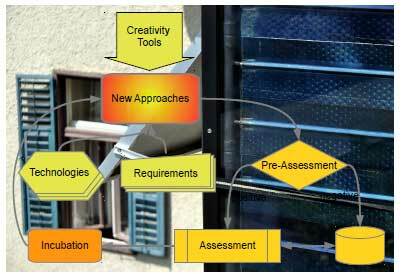 The aim of the project is to substitute a significant part of the end energy used in flats by ambient energy. Depending on the starting point (size and orientation of the collector, loca­tion and type of plumbing installation) various usage variants will be proposed. In the first turn technological innovation with absorber, heat transfer medium, circulation systems and hot water storage will be assessed with regards to an increase in efficiency resp. yield but not total cost of erection for the specific application case. Because of its pre competition nature i.sol.e2 may analyse innovative approaches like thermo-active components, combined systems, polymeric absorbers, prismatic storage tanks with regards to suitability. Especially new low-flow and drain-able resp. assisted natural flow sys­tems will allow new form factors with storage, which improve stratification and use of phase change materials. The search filed for utilizing the solar heat comprises HVAC-applications but also domestic devices with high energy demand. Combining thermal solar collectors (water or air type) with PV may deliver added values, but it is important to have a suitable usage scenario for the energy maximising the yield per EURO invested. Besides the resulting interior and exterior units should not only be manufac­tured in a cost efficient way, but have a high architectural attractiveness creating a new market for solar collectors and hot water storage. i.sol.e² performed a comparative analysis of the permutations possible with PVT including actuated and automated systems redefining the share between solar thermal and PV. Also insight into benefits of polymeric concepts and using PCM will be created. As building specialist the recommended solutions might be included in your planning. As industry you might want to check the chances for the new products on your markets. Certainly upcoming developments generating system optimisation with regards to co-operating HVAC and solar systems will create new market opportunities. After selecting feasible solutions experts were confronted with them in the second round of the Delphi survey. Implementation of the prototypical testing facilities was completed and operational data collected. The acceptance of solar installments in kitchens was validated. Demand market, cost and yield was quantified, the latter based on a simulation. With the help of the project further steps may be taken to demonstrate the fitness of the newly invented hydraulic concept. 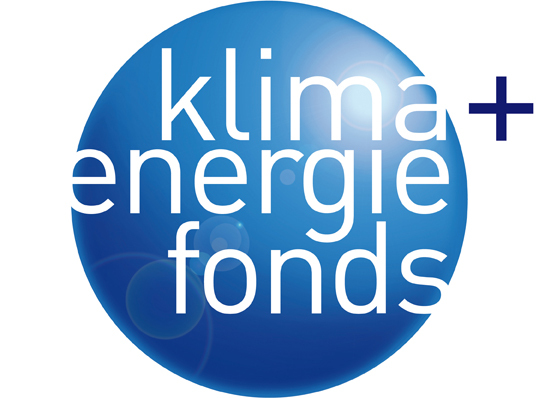 The project is co-financed by means of the Austrian „Klima- und Energiefonds“ and conducted in the frame of the FFG managed program „NEUE ENERGIEN 2020“.